It's so pretty. I had to exchange for a smaller size. Can't wait to receive it again. Very lovely and lady like, but can be dressed up or down. Good quality and excellent design, will continue to order from Hillary Scott. Thank you HSN. 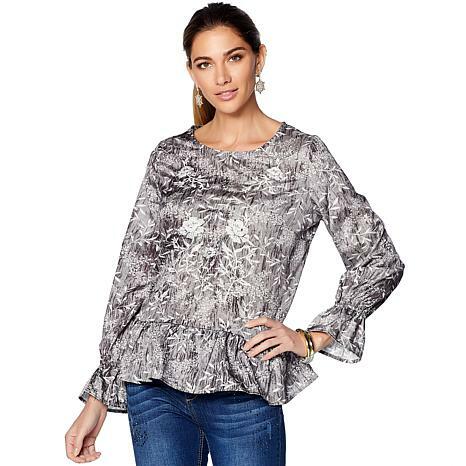 I loved the print and wanted to love this blouse but the styling didn't work for me. I wish the waist band was elastic so it would have some give. Every time I raised my arms, the shirt pulled up and stayed up. I will be returning this blouse.